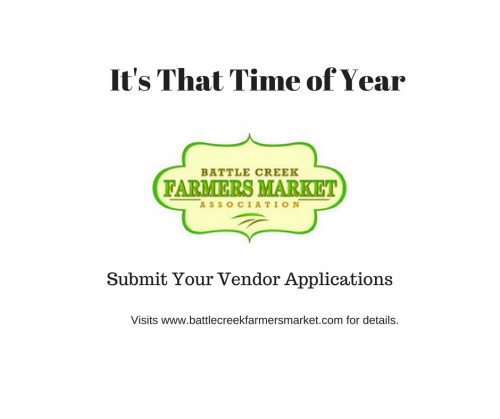 The Battle Creek Farmers Market Association is a non-profit organization serving as host to the Battle Creek Farmers Market in downtown Battle Creek. 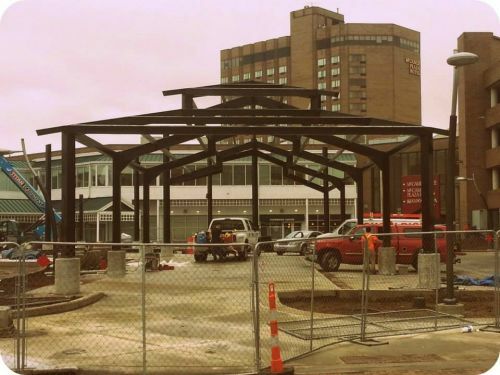 Newly renovated in 2015 Festival Market Square, located at 25 S McCamly Street, is home to the downtown Battle Creek Farmers Market. 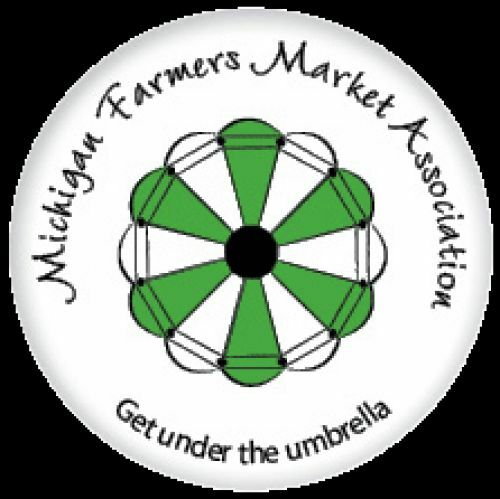 Whether you are a local family, a visitor from out of town, a local farmer, or a producer of a Michigan food product, there is a place for you at the markets. Local families will find an accessible market with family friendly vendors and products. 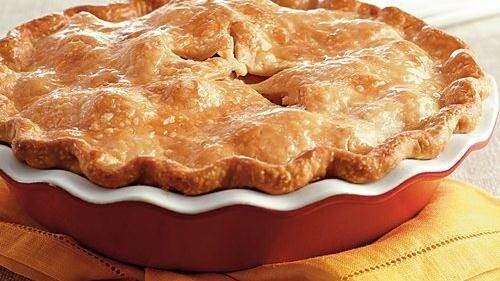 Visitors will find unique Michigan products and tasty treats. There is convenient and free customer parking at both market locations. 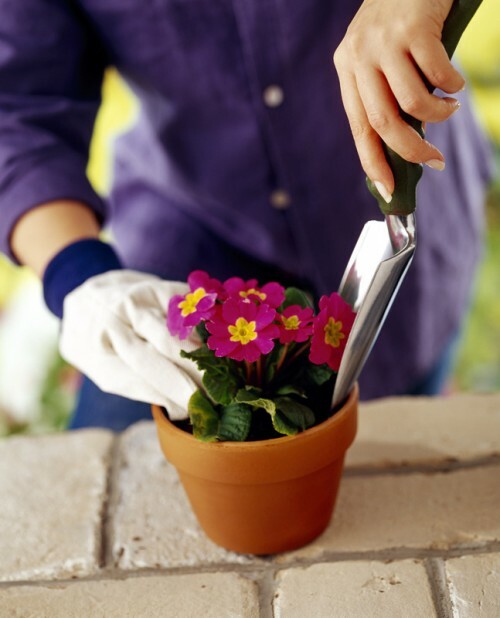 The Association welcomes vendors who grow and process local foods. Vendors will find a thriving marketplace with new, covered facilities at both locations, convenient to use stall spaces, and vendor friendly management. For further information on becoming part of the market, contact Brigette Leach. 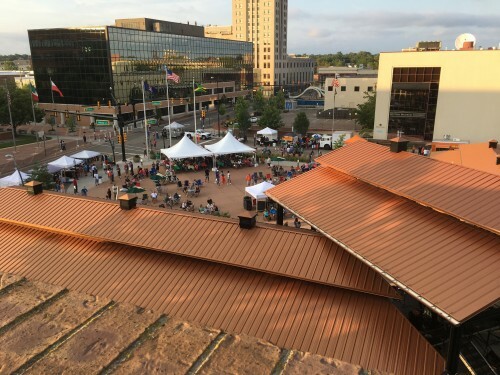 Festival Market Square in downtown Battle Creek was totally renovated in 2015. 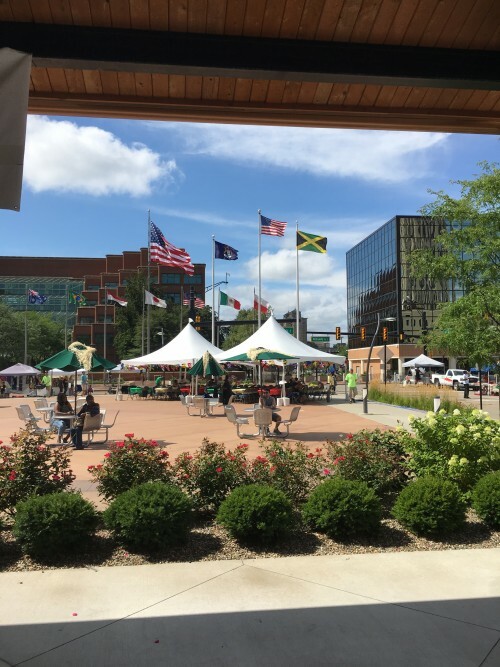 The beautifully updated park is one of the centers for downtown Battle Creek activities, including the Wednesday and Saturday Farmers Market and Food Truck Friday. Covered stall space for vendors and a covered central walkway are highlights of the renovated area.